If your goal is to lose weight, taking baby steps not giant leaps- is the best way to get lasting results. To get the best results, take one small step at a time. 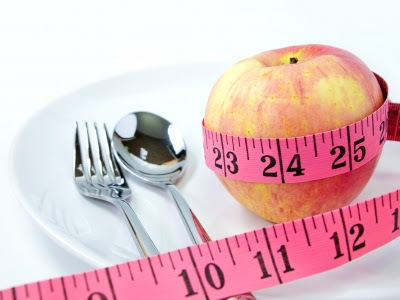 Your aim should be realistic. . Read on to know how to lose weight by making small changes. If you get over-ambitious and aim to do 100% in one day, finally achieving only 10%, then you may get de-motivated. According to the experts, one should work on micro cycle- goal oriented workout for a short period of time like anything between 1-6 weeks. When you focus on just a couple of small changes at a time, you begin to ingrain some healthy habits that last for a lifetime. Rather than trying an all-or-nothing approach that more often than not fails because it’s too hard to follow. Given below are the 11 simple steps to help you move more, eat less and look and feel better than ever. Pick Up a Pen After Every Meal: Mindlessly munch on a bag of chips and you could easily polish off the whole thing; write down how much you’ve eaten and you’re more likely to practice portion control. Keeping a food log helps control extra calories in two ways – the combination of plain old reality check and awareness what you’re putting in your mouth will soon be recorded for posterity. Journaling also gives you an insight into your eating habits. Knowing your routine helps you figure out what changes are right for you. Skip Through The Commercials: Get off your duff and move during your favourite TV shows. Skip, dance, go up and down some stairs, run in place- anything that gets your heart rate up so you feel somewhat breathless. Do it for each 2-minutes break during a typical 2-hour TV night and burn an extra 270 calories a day! Limit High Fat Foods To One Per Week: Tag the high fat or high calorie foods that are typically your favourites (cookies, candy, ice cream, potato chips etc.) and gradually downshift. If you are eating six of these foods a week, try to get down to five. Each week, drop another until you’re at no more than one or two. At the same time add in some healthy foods like walnuts, sautéed broccoli, fresh fruits and veggies. Sign Up For Healthy E-Newsletters: It’s a good idea to receive weekly emails about diet and fitness. Or you can read regularly health blogs and articles. Add them to your favourite list and keep your interest level high. Walk Five Minutes More Every Day: Increasing daily activity levels by just a few minutes at a time helps to lose weight. Your goal should be to do at least 30 minutes of physical activity a day. But it doesn’t have to be all at once. Some simple ways to get moving like- you can walk around the perimeter of the grocery store at least once before heading toward the items you need. Move place whenever you are talking on the telephone. Go through or around the entire shopping mall instead of parking near the store you need. Also, take a walk around the block at lunch and after dinner. Strength-Train In Mini-Bursts: Basic body-weight exercises like squats and push-ups are simple ways to build more metabolism-revving muscle in minutes. These functional exercises imitate your actual body movements. For example, squats imitate the action of sitting down and getting up. Moreover, each of these exercises is a power workout using a large group of muscles, burning calories faster and for a longer period of time. Try these workouts and gradually increase the number of reps it takes for your muscles to feel fully fatigued. Climb Extra Flights OF Stairs Daily: Have a choice between riding and climbing? Including 2 or 3 minutes of stair climbing per day- covering about three to five floors, can burn enough calories to eliminate your annual weight gain of 1 to 2 pounds a year. It’s also good for more than just your waistline. Men who climb more than 70 flights of stairs a week had 18% lower mortality rates than who climb fewer than 20 flights a week (according to a study). Start with just a couple of flights a day and aim to add three or more flights to your daily trek. Take A Pedometer Where Ever You Go: Just as you wouldn’t leave home without your cell phone, make a pedometer a must-have accessory. Research shows pedometer users take nearly 2,500 more steps a day (1 km or about 100 calories) than non-users. Over a year, that’s enough to burn off about 10 pounds. Brown-Bag It At Least Once A Week: You’ll save thousands of calories over the course of a year. When you make and eat your own food, you not only control the quality and portion sizes but also reduce the amount of sugar, salt and fat that you are consuming, which can significantly higher in restaurant fare. Obey The 1-Mile Rule- burn calories instead of gas by following this rule: if your errands are less than 1 mile away, vow to walk to them at a brisk pace instead of driving. Or park where you can run several errands within a mile instead of moving your car each time. Walk every day to lose weight. Take 10 Minutes To Eat A Treat: Try this strategy to permanently reduce cravings: portion out one serving of your favourite treat, taking a minute to smell it, look at it and think about it. Take one small bite. Chew slowly and then swallow. Ask yourself whether you want another bite or if that satisfied you. When you take time to slow down and be more mindful of what something really tastes like, you feel more satisfied. Eating slowly has other benefits too. It makes digestion easier, prevents bloating and flatulence.